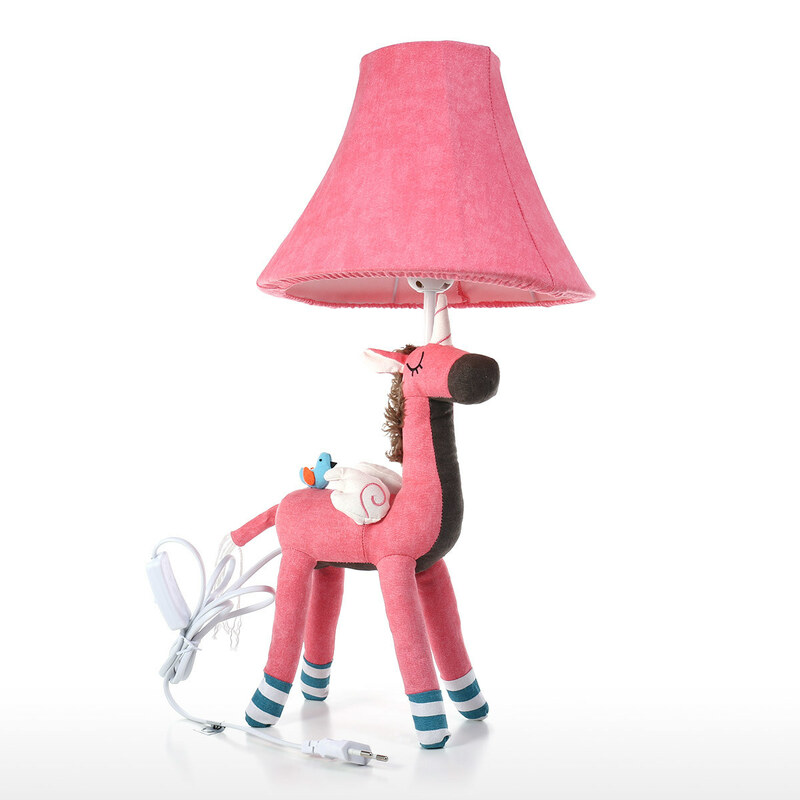 This is a funny and cute unicorn lamp. 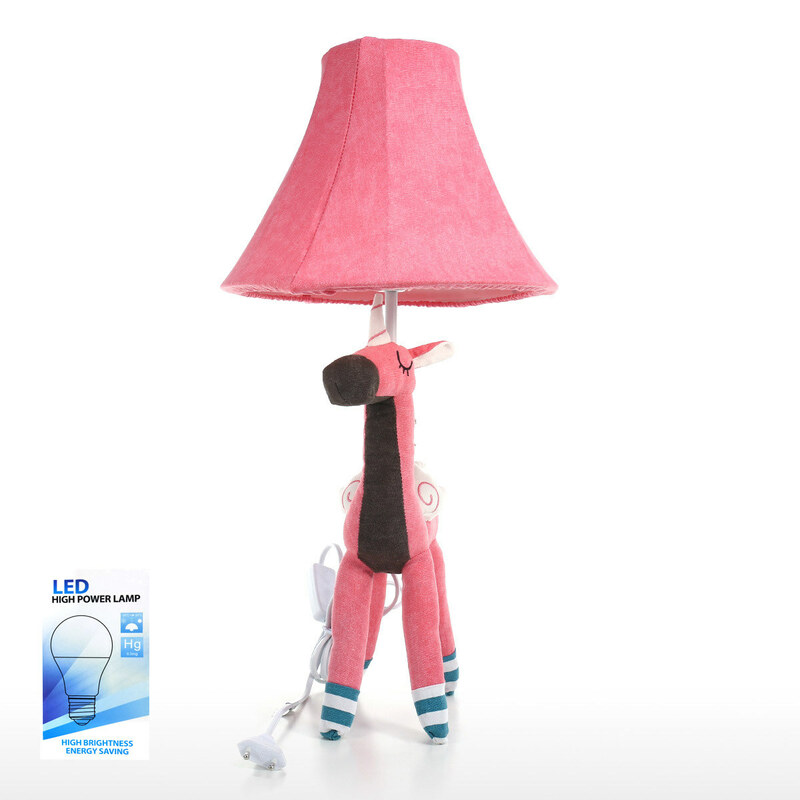 Healthy and harmless cotton inside the unicorn lamp, and the body of the lamp is made of perfect fabric. 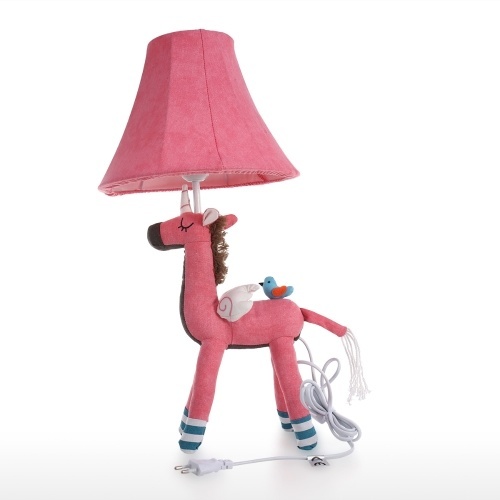 This table lamp is good for kids to develop imagination and creativity with whimsical pieces. 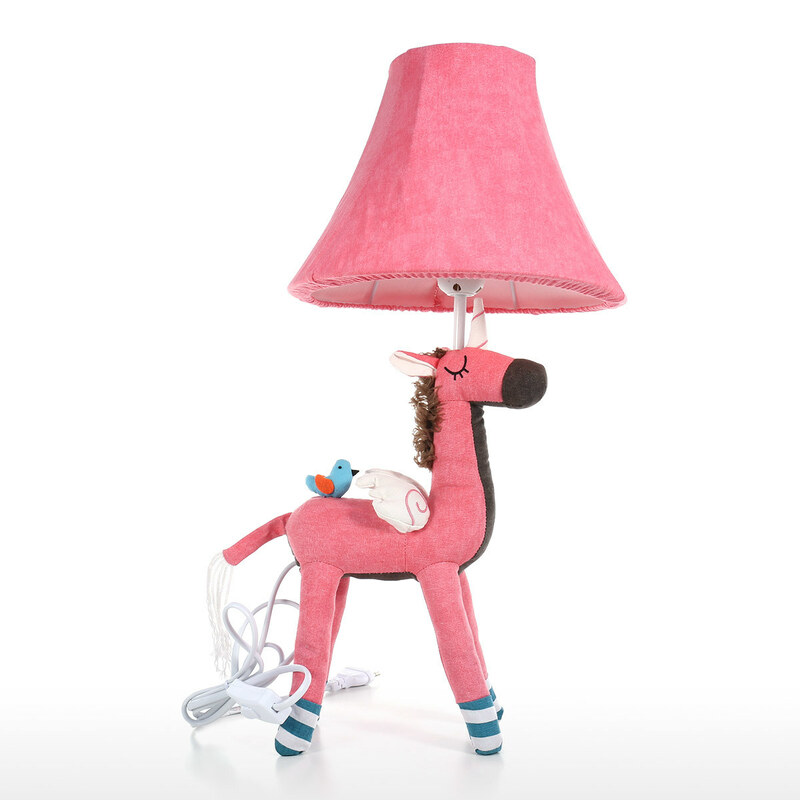 Perfect addition to kid’s bedroom, playroom or nursery and suitable to the appeal of any nightstand or table. 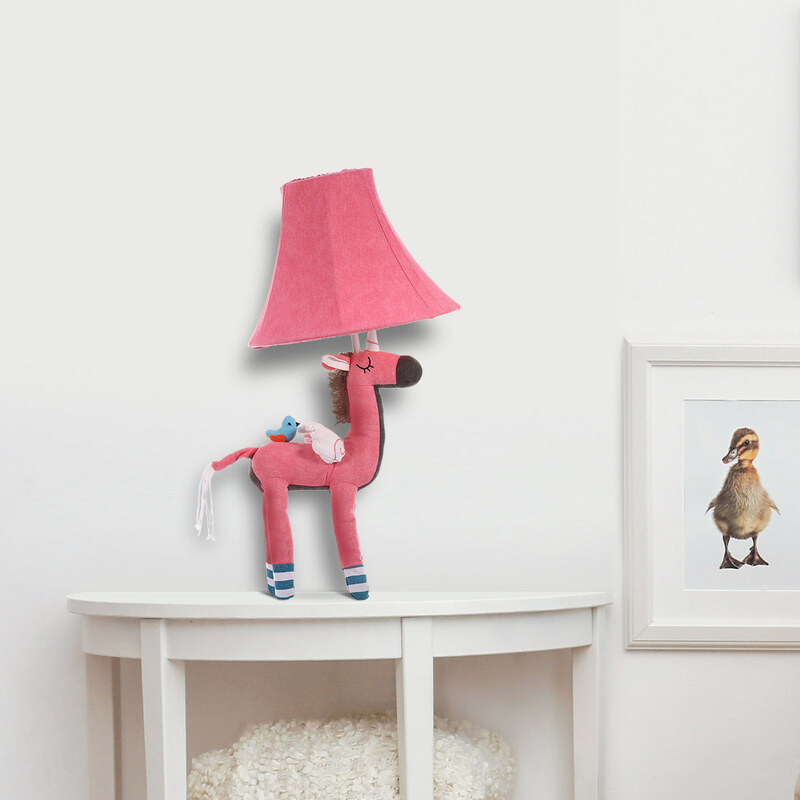 Perfect decor: Perfect addition to kid’s bedroom, playroom or nursery and suitable to the appeal of any night stand or table. 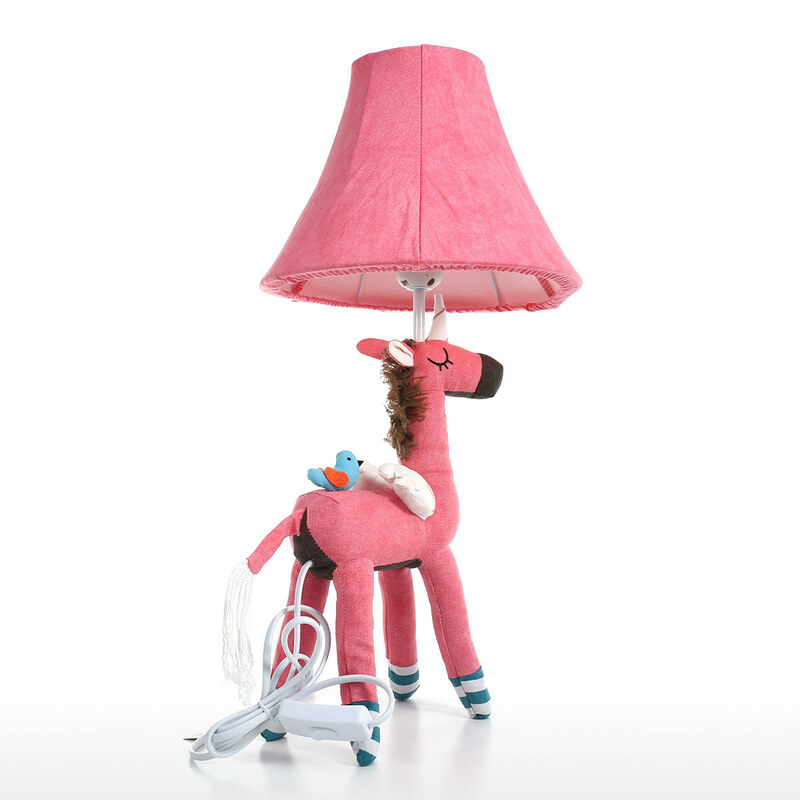 Advantage: This table lamp is good for kids to develop imagination and creativity with whimsical pieces. Healthy material: Healthy and harmless cotton inside the unicorn lamp, and the body of the lamp is made of perfect fabric. 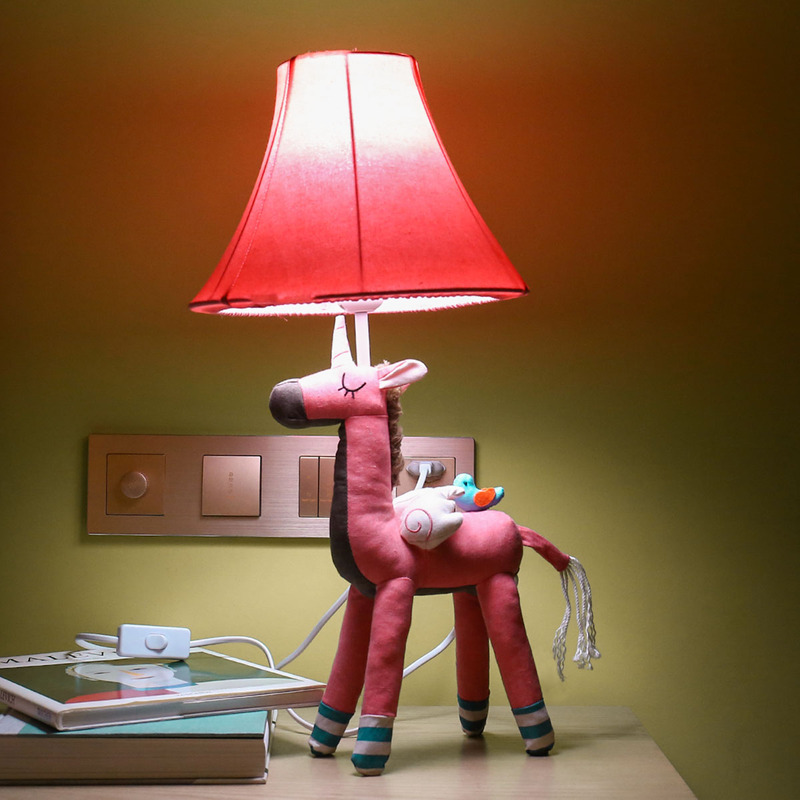 Cute lamp shape: The unicorn lamp has a cute cartoon shape and can be used as a lamp or a decoration. 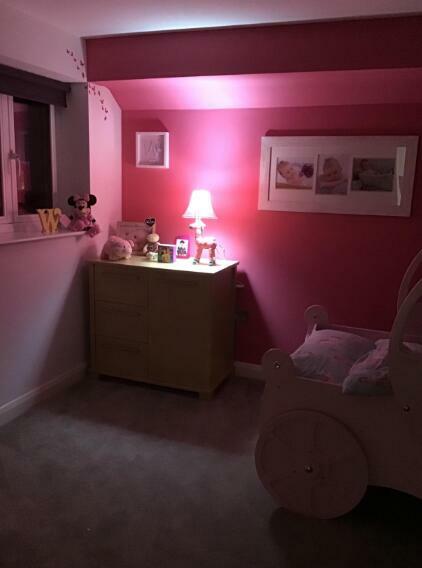 Eye protection: The good quality led light bulb can protect your eyes well and save energy. 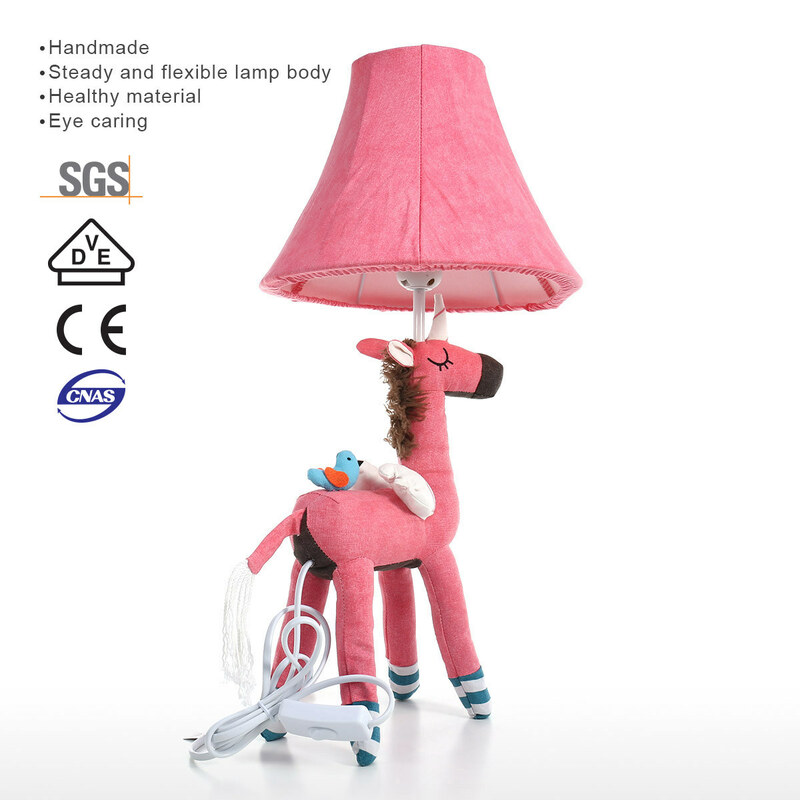 Steady and flexible lamp body: The lampshade can be adjusted with the flexible body. 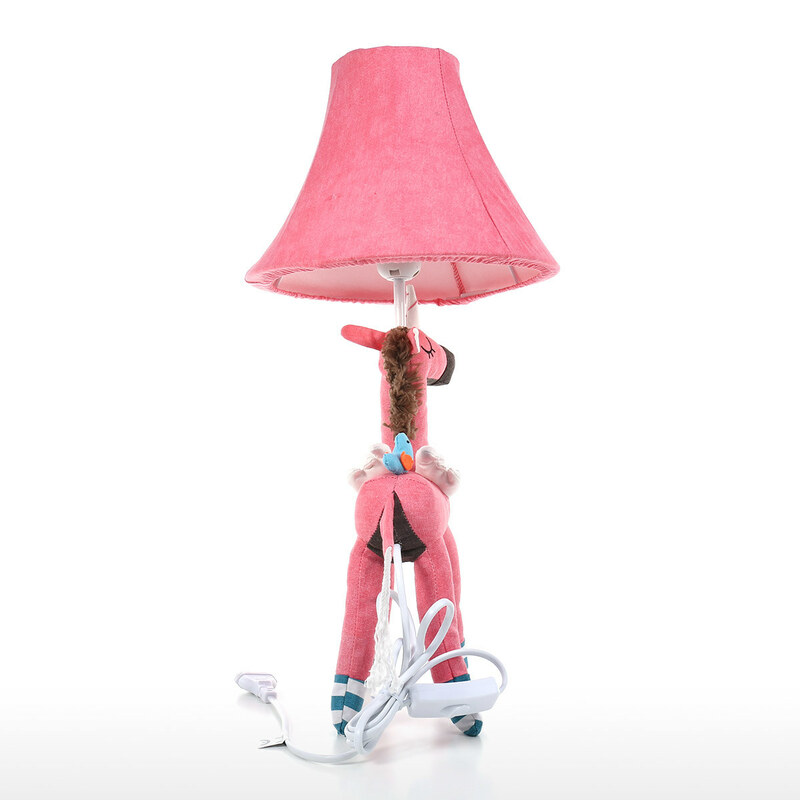 The legs filled with iron frame and quartz sand, which helps stand steadily. 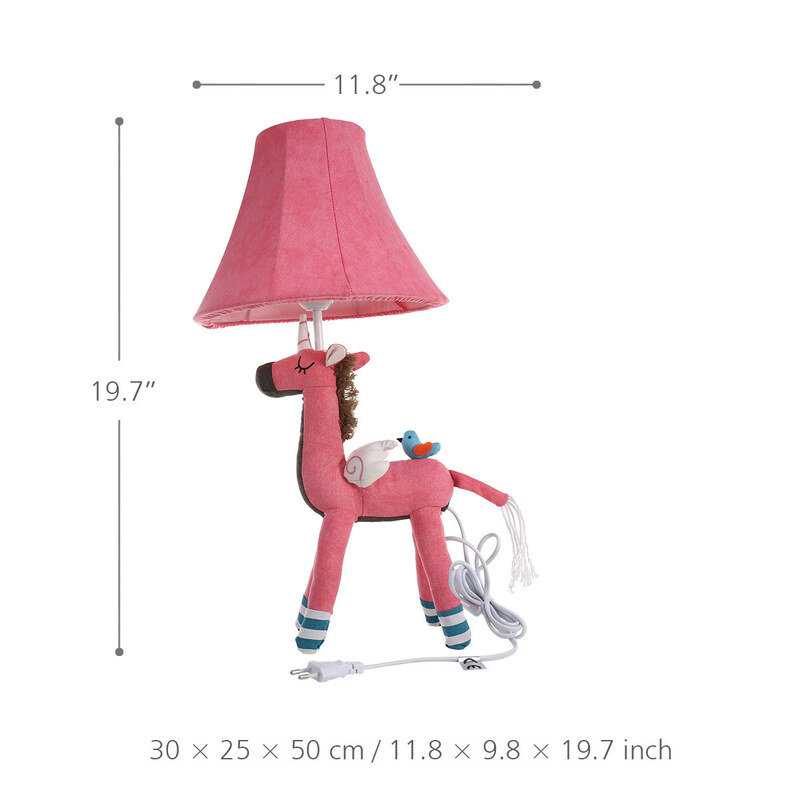 Legs are adjustable.